**This event is now SOLD OUT. Please contact our office with any questions 314.275.7440. 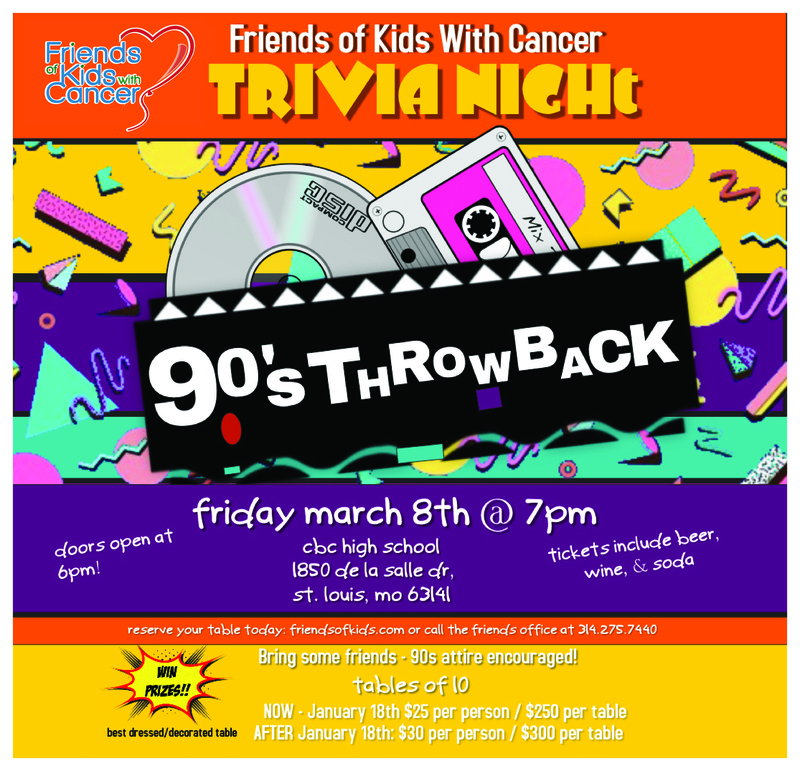 Enjoy the best of the 90s at this year's Friends of Kids with Cancer Trivia Night ! If you are unable to attend but would like to donate an auction/ raffle item or become a sponsor please contact us at 314.275.7440. You bring the snacks, we'll provide the beer, wine, soda & water. Please contact the office at 314.275.7440 if you would like to reserve a table. SPECIAL THANKS TO OUR CURRENT SPONSORS and MC! Pat Imig is the owner of Imig Communications, a social media marketing company that specializes in Instagram marketing for local businesses. Imig Communications also runs accounts for Facebook & Twitter and executes general marketing services such as: video production & storytelling and business content such as: blogs, brochures, press & pr.